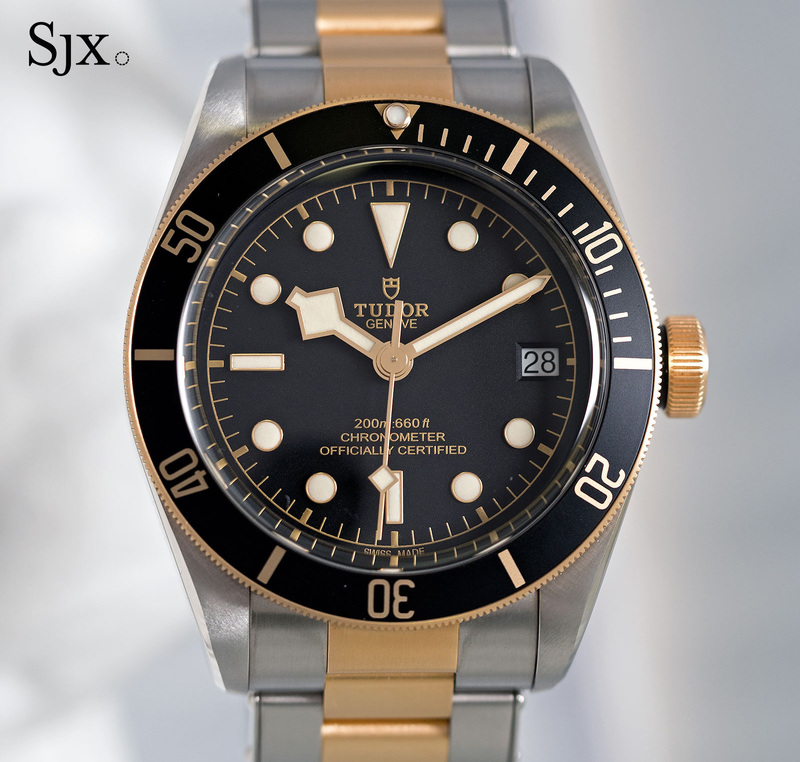 Steel and 18k yellow gold give the Black Bay a more luxe look that's still restrained. 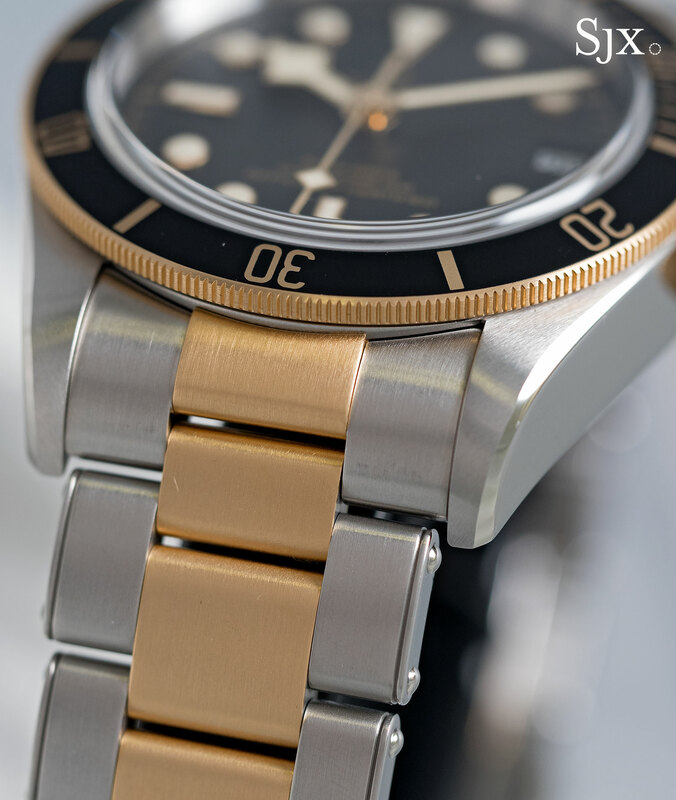 Neither entirely steel nor gold, but a blend of the metals, two-tone sports watches are peculiar but nonetheless popular. 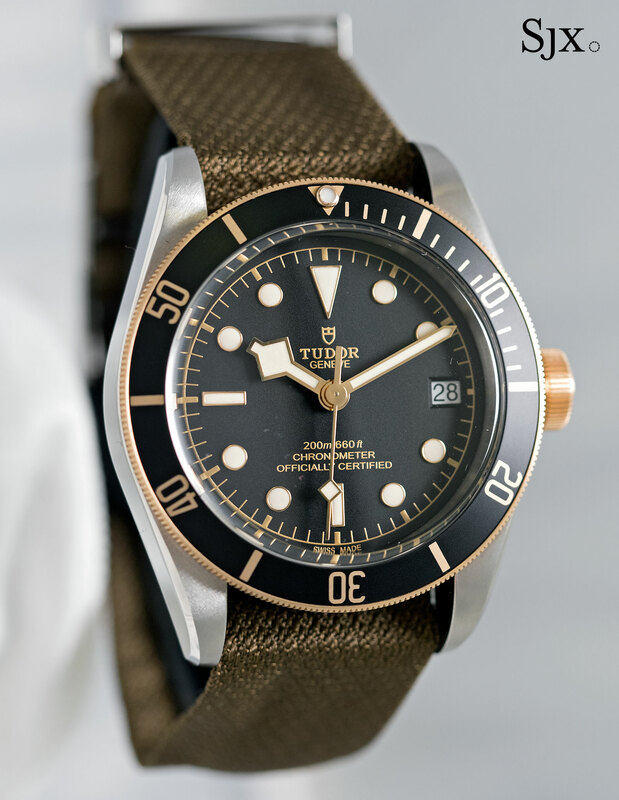 So the Tudor Black Bay S&G – short for “steel and gold” – is a natural extension to the line of bestselling vintage-inspired dive watches. 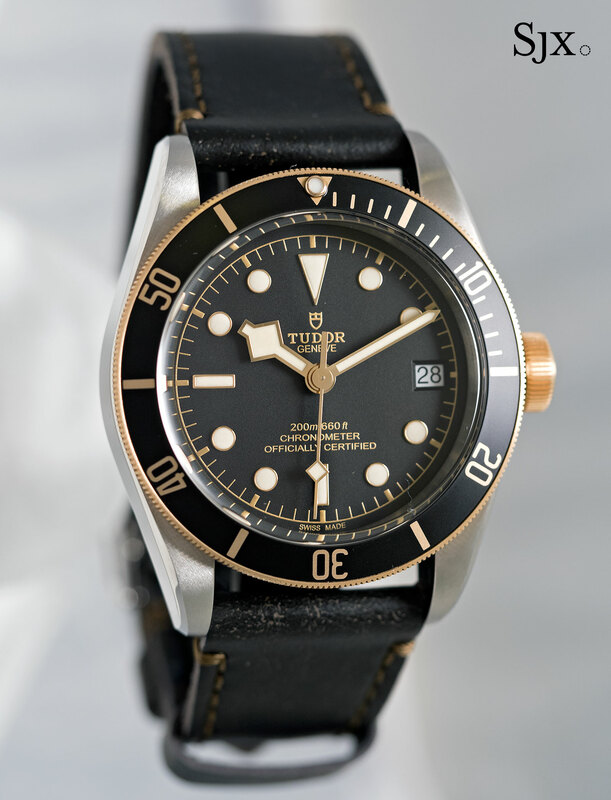 As steel and gold watches go Tudor did a good job with the Black Bay S&G, mainly by dialling back the gold quotient. 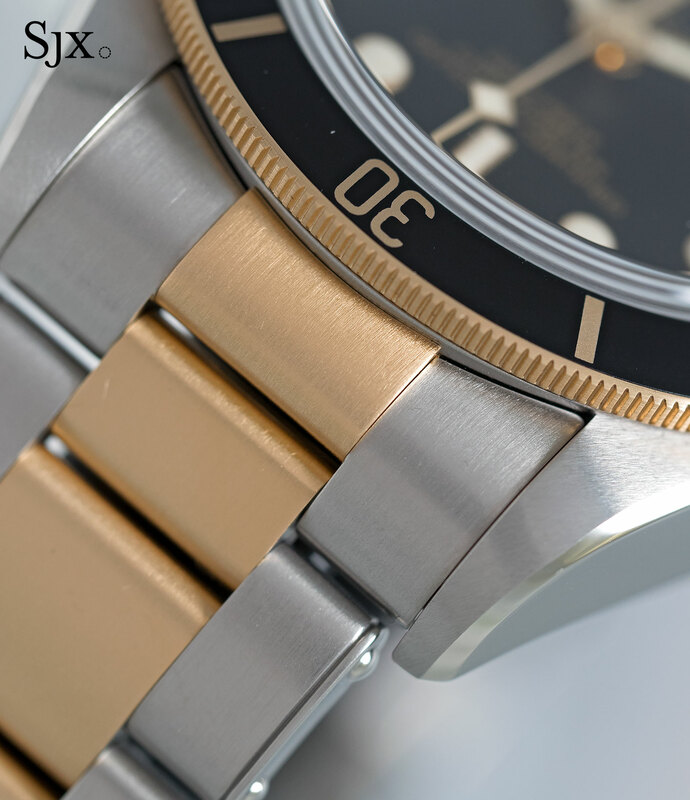 Though the gold bits are the same as on other two-tone watches, namely the bezel, crown and centre links of the bracelet, they have a brushed finish, instead of the polished surface typical for gold (the two-tone Rolex Submariner, for instance, has polished centre links). 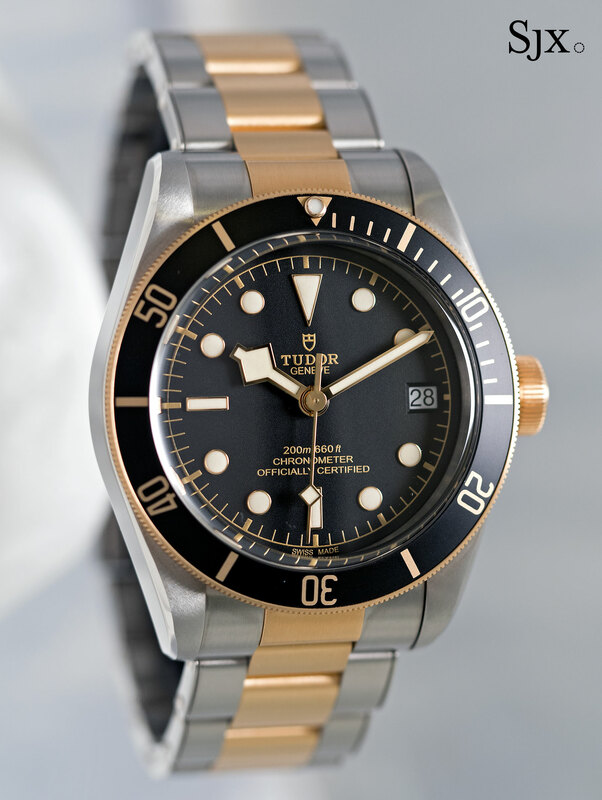 This gives the gold parts on the Black Bay S&G a subdued, even slightly worn look. The bezel and end links of the bracelet are solid 18k gold, while the bracelet centre links and crown are gold-capped. That means they are steel parts covered with a layer of gold that’s bonded to the base with heat and pressure, creating a much thicker layer than electroplating. 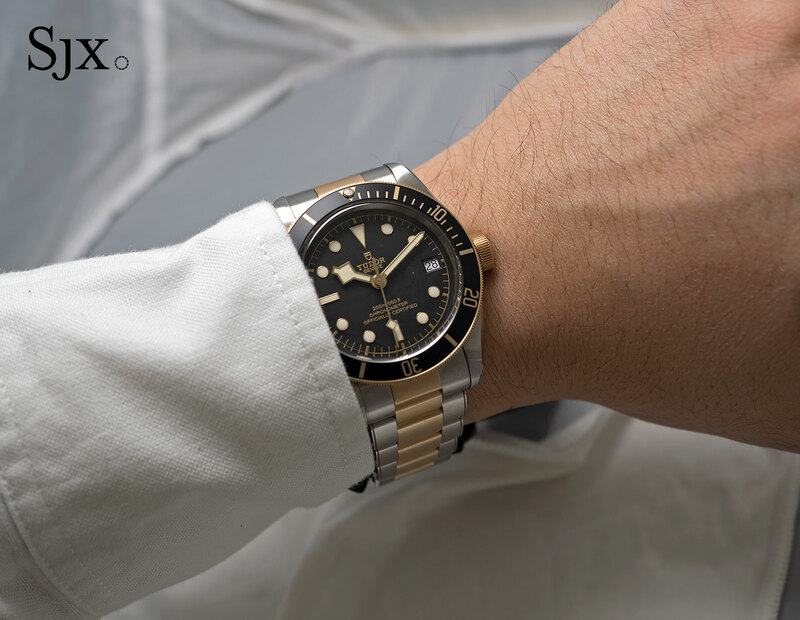 Besides the two-tone look, the other notable feature of the Black Bay S&G is the date at three o’clock (a feature also shared by the newly launched Black Bay Steel). 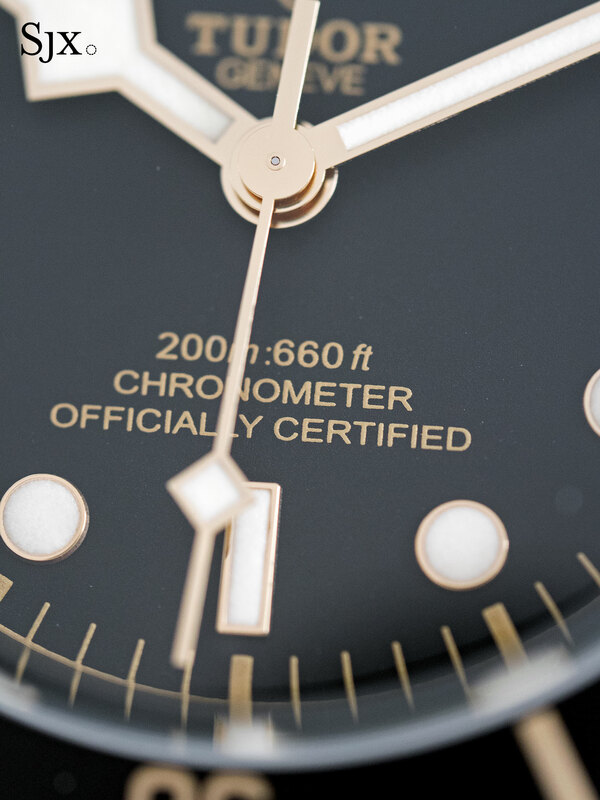 It’s a practical feature that does not look out of place, since the new Black Bay looks and feels like a modern watch, rather than a retro remake. The rest of the watch is similar to the all-steel Black Bay watches. 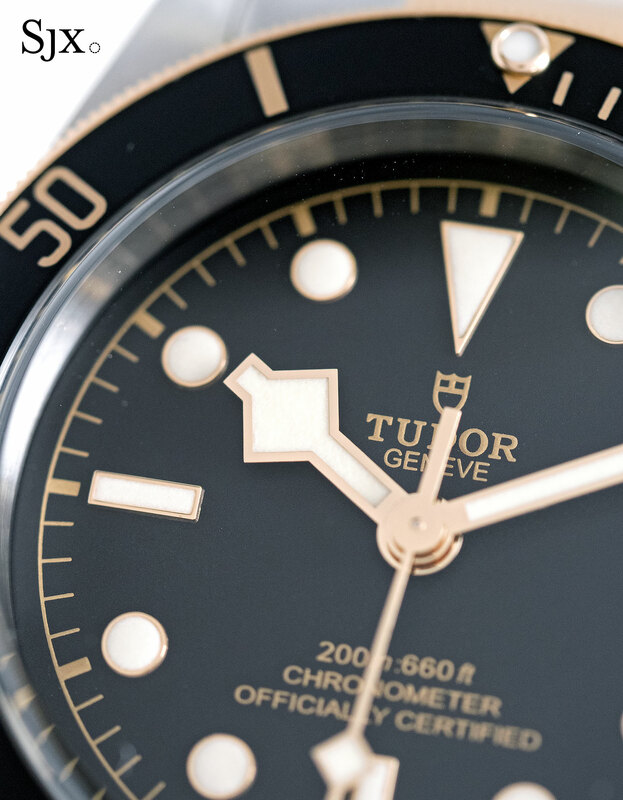 The dial is black with a grained finish and gilt print, matched with snowflake hands. The steel case is 41mm in diameter and rated to 200m. And inside is the COSC-certified MT5612, a calibre from the same family of movements that power most of the Black Bay range. 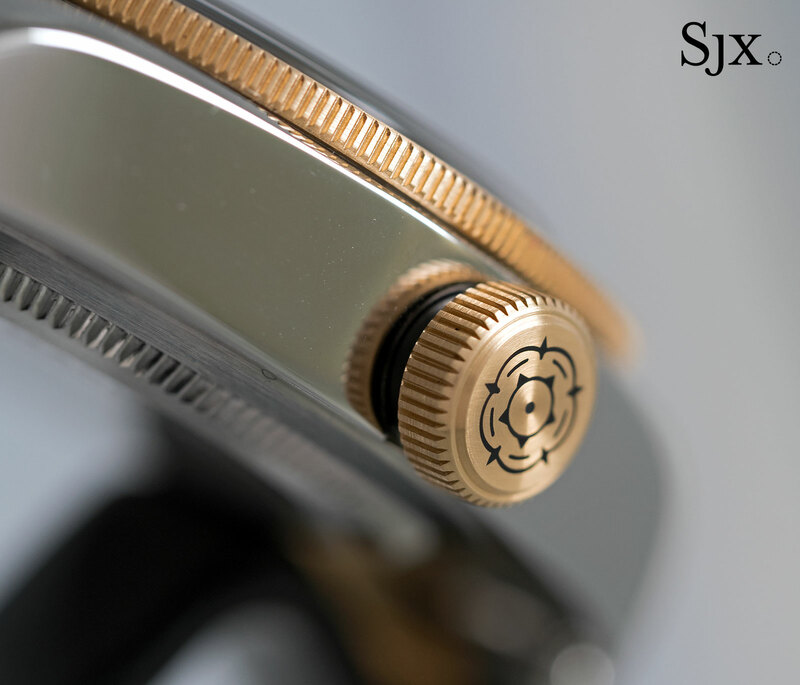 It is automatic with a 70-hour power reserve, and fitted with a silicon hairspring. More unusually, the calibre has a date function that can be set at any time, even around midnight. The Black Bay S&G is available with a matching two-tone bracelet or a leather strap. Both versions are delivered with an olive green NATO-style strap. On both the leather and fabric straps the tw0-tone look is less apparent, giving it a more vintage feel. The Heritage Black Bay S&G (ref. 79733N) will be available starting May 2017, priced at SFr4750 on a bracelet and SFr3600 on the leather strap. The significant disparity between the two version is due to the 18k gold components of the bracelet. 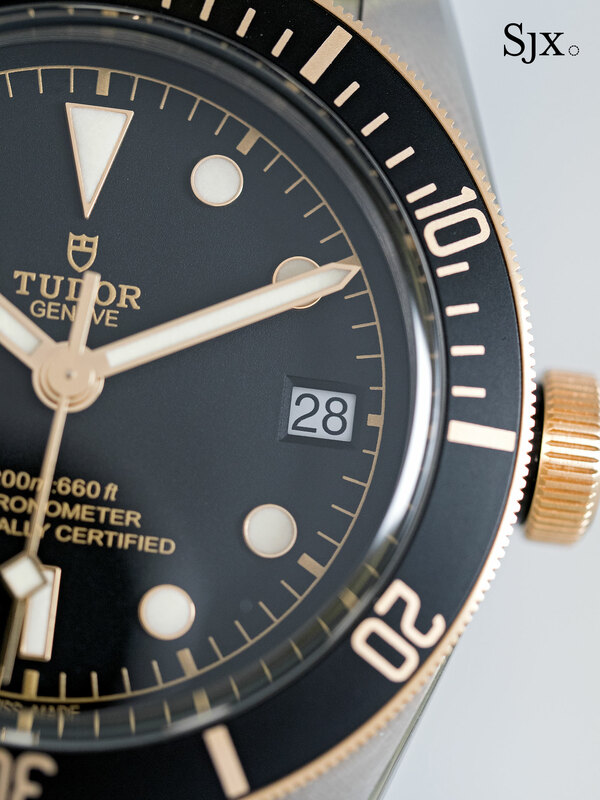 Bigger and made of bronze, the new Tudor Black Bay is also powered by an in-house, self-winding movement. Specs and price below.